Flagship is bringing the Old Fashioned back in fashion. 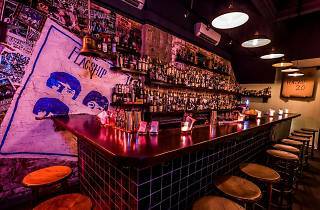 Launched by the same people behind three of Asia’s 50 Best Bars (Jigger & Pony, Gibson and Sugarhall), Flagship has shed its former dive bar image to become the ‘Home of the Old Fashioned’. And with 200 labels of whisky behind the bar, you know it takes its tagline to heart. 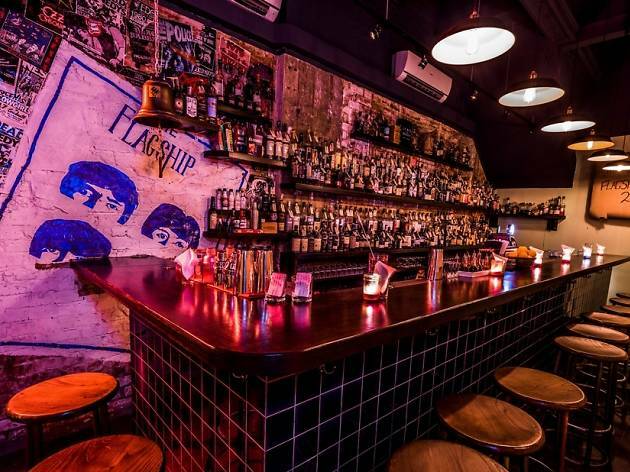 While owner Indra Kantono’s exposed brick wall remains, intimate booths have taken the place of well-worn coffee table seats, and tiled walls of British racing green have replaced the grungy spray-painted mural. All are additions made by Jerrold Khoo – Flagship’s principal bartender who happens to have a degree in interior design, too. Aside from aesthetics, Khoo also had a hand with the revamped food and cocktail line-up, introducing dishes like buttermilk fried chicken ($15), pork ribs ($23) and cheese balls ($12) as pre-drinks appetisers. There's even chocolate mousse ($10) if you're craving desserts. But, of course, we’re really here for the drinks and instead of overwhelming diners with an impossible range of Old Fashioned variations, Khoo has picked just four to choose from. There’s the Classic Old Fashioned, Wine of the South, Apple Tree and Sherry Cask Old Fashioned, all retailing at $22. If you're not feeling what's on the menu, have Khoo mix you a something from the whiskies, gins or rums available on the shelf. Its cocktail-focused menu features drinks like the Gin N Roses Reunion ($22) with Plymouth gin, Remy Martin, almond, lime and sparkling wine, and Alison's Medicine ($22), named after a regular patron of the bar. Highballs ($20) are also available, and if you're in a big group, there are punch bowls ($220) that serve up to 20 pax.